Dubai doesn’t do things by halves. 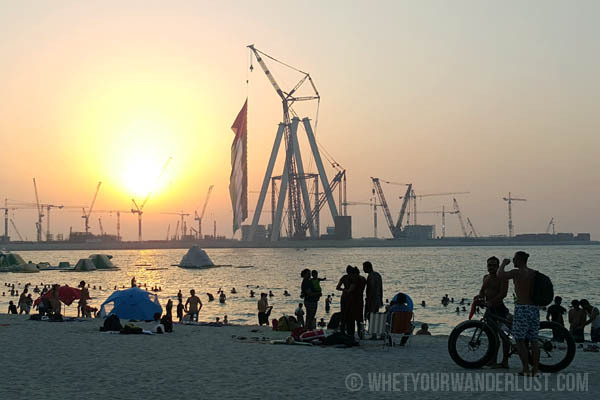 So when the Dubai government-owned property developer, Meraas Holding, decided to create a beachside promenade opposite Jumeirah Beach Residence, they did so with the usual aplomb. The Beach opened in 2014 as an outdoor lifestyle destination spanning over 320,000 square feet. Not only can you can rent sun loungers and soak up the rays, you can also do watersports, play sports, and jump on massive trampolines. 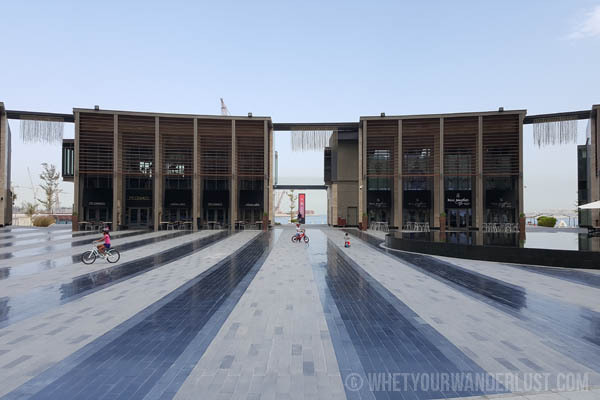 Plus you’ll find a jogging track, a lush one-kilometre mall, an open-air cinema, cafes and restaurants, retail shops, a shisha lounge and plenty of places to sit and watch the world go by (or watch the construction of the world’s largest ferris wheel). 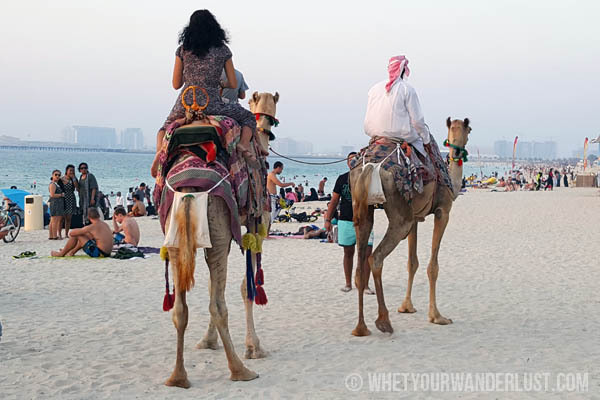 There’s truly something for everyone, whether you want to relax, be active, ride on a camel, or simply have a bite to eat. 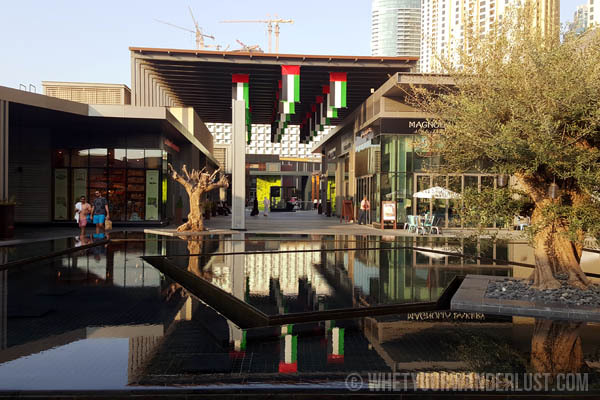 Foodies will delight in the massive selection of eateries – over 45 different outlets offering 20 different cuisines from American, Turkish, Indian, French, Italian, Asian, Latin American, North African, and even Emirati. You’ll find well-known chains like The Cheesecake Factory, P.F. Chang’s; high-end cafés like Cavalli Caffè; Italian restaurants such as Fratelli la Bufala, Sapori di Bice, and Obica Mozzarella Bar; bakeries such as Ladurée, Magnolia Bakery, and PappaRoti; and gelaterias and fro-yo shops like Menchie’s, Morelli’s Gelato and Dri Dri. 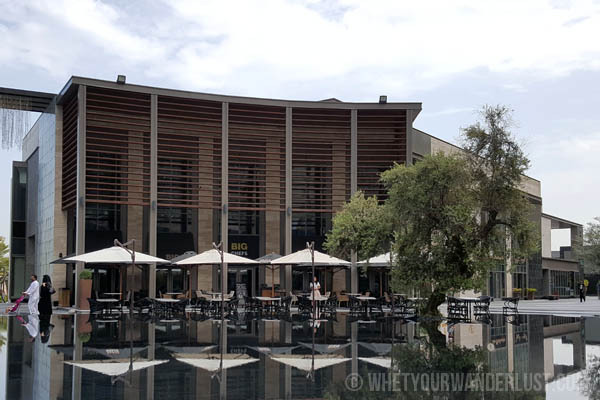 You’ll even find the gorgeous Seven Sands, an Emirati-inspired restaurant that serves authentic Emirati food and desserts. The list goes on and on. I was invited to partake in a foodie tour of The Beach which covered 11 restaurants, but there are many, many more to explore. Look out for my posts coming soon about What’s Cooking at the Beach to see what takes your fancy, then do yourself a favour and go (hungry) to The Beach. I have heard about the changes, upgrades and crazy growth since I was there and these images are just something to go by. I have to get back, I am trying my all to return to the UAE even if it means working and working on the side on my own business. I miss the safety the lifestyle, the class, and the activities and adventure opportunities. Your post made me tear up a little, I miss it so much. What area do you stay in? How long have you been there and how much longer will you be there? Thanks for reading, Cee! I’ve been here almost 6 years in total, live in the Marina, near The Beach, so this will now be my new hangout, especially with the weather getting better! Let me know when you next make it to Dubai! Thanks Rishi! I’ll keep you posted once I publish the next posts! That’s a great roundup and I look forward to your posts about our lovely food tour at The Beach.